I was fortunate in my career in that the first firm I joined out of school offered an employee travel scholarship. This scholarship consisted of $2,500 and an extra week (five days) of paid vacation time to go somewhere in the world, study a specific architectural topic, and then follow that up with a short presentation to the office. They actually began the tradition a month or so after I was hired. Since I was a new hire as well as freshly graduated, I didn’t think I had any kind of chance of being selected. But I eventually reasoned that I had nothing to lose and put together a proposal the night before they were due. Of course, I wasn’t selected that year, but instead of dampening my enthusiasm, it had the opposite effect and the following year I put together a much more ambitious proposal. It was also rejected as being too “out there.” For the third year, I split the difference and submitted two proposals. The first was revised version of my previous submission and the second was a much more focused and conservative proposal to study the art deco hotels in Miami. The revised proposal was immediately rejected and although there was strong interest in the Miami topic, it was ultimately decided that the firm didn’t do enough (any really) art deco projects to merit further study. Ironically, a few months later, we began work on The Gregory. Over the course of the following few years, I didn’t submit. Putting a single-sheet 11x17 proposal together might look simple, but there is actually quite a lot of thought and research that goes into it. Finally in 1999, I had a new idea. The firm had been making a name for itself with mixed-use retail/office/condo projects and I thought I might find some inspiration for this architectural type in Europe. Again I distilled these thoughts down to a simple narrative, illustrated it with eight example projects across Europe, and submitted it (see it here). This time it proved to be a winner. I spent a good portion of Y2K researching and prepping for my trip and soon discovered just how little $2,500 and an extra week of vacation really is. I paid $950 for a roundtrip plane ticket, $475 for an 8 day Eurrail pass, and about $1,100 for a camera and two lenses. That was $2,525 right out of the gate and left nothing for food, hotels, or bus fare - not to mention film & processing - which ended up running close to $700 alone. It also doesn’t account for the hours and hours of research and prep work before I left or the hours I spent putting a report together after I returned. I imagine that the entire trip ended up costing around $8,500. But it was totally worth it. One of the greatest things about the trip was that I had barely used my vacation time prior to taking it. At that time, the firm policy allowed employees to accrue vacation time based on their length of employment. Your first year got you 5 days. Your second through fourth years got you 10 days/year. Starting with your fifth year, you would accrue vacation time at 15 days/year. And, unlike sick time, it never expired (this was changed almost immediately after I returned from my trip). I had taken vacations throughout my previous years, but they had all been short and they had been piggy-backed on holidays and weekends. So, buy the time I left in September 2000, I had nearly 6 weeks of vacation to spend. And spend it I did! I started in Holland – where I met up with a former college roommate and his visiting father. After a few days, we drove to Munich to spend several days at Oktoberfest. I then went solo from there an worked my way through Austria, down the length of Italy (including Sicily), finally ending with two weeks in Tunisia. Since the scholarship provided five days of time, I devoted a good five days to satisfying my proposal. I looked at several buildings in Holland, a few in Munich, as well as a number in Salzburg and Vienna. But since the bulk of the time was mine, I used it to check out things that I’d always wanted to see. You might imagine that as an architect, I’ll discuss the architecture of Salzburg. Perhaps I’d talk about the Romanesque, the Gothic, the Renaissance, the Baroque, classical modernism, post-war modernism, and then finally contemporary architecture. But I’m not going to. You might think that since I like music, I’d talk about Mozart – born, raised, and heralded to this day in Salzburg. But that’s all I’m going to say about Wolfgang. 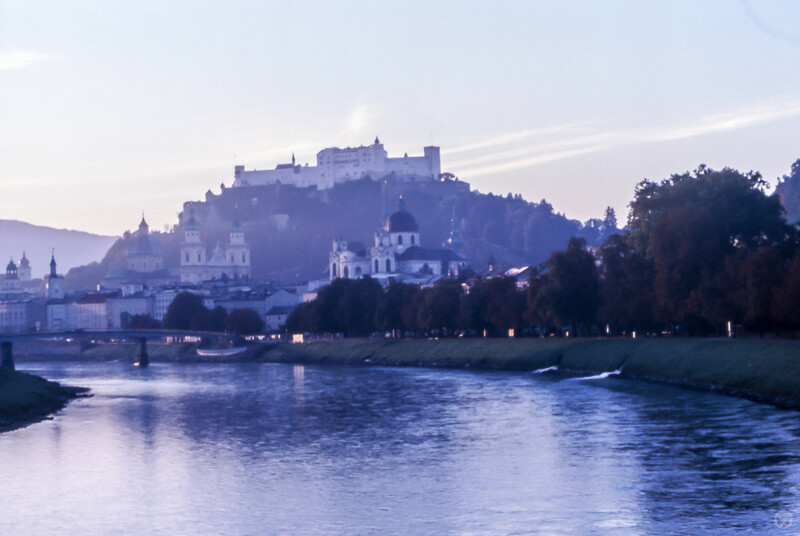 You might even think that I’d talk about salt, as Salzburg means "Salt Castle" and derived its name from the barges on the Salzach River that carried the salt that made the town rich. But I’m not going to talk about salt either. In 2000, Salzburg joined the list of cities to have a Cow Parade. This cow was sponsored by Panorama Tours. 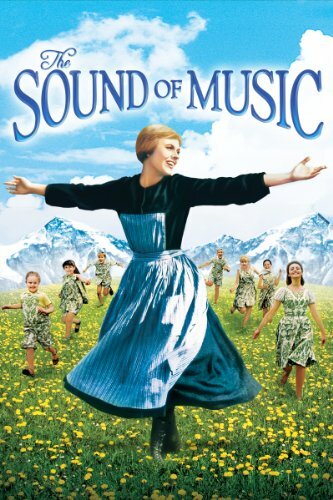 Instead, I’m going to talk about The Sound Of Music. That’s right, the Oscar-winning 1965 film. 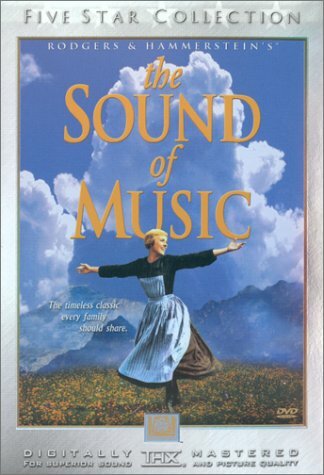 The Sound Of Music was one of the first films I ever saw (coincidentally, Marry Poppins was another). But I hadn’t seen it in a great long while when I found myself in Salzburg with time to spare to explore the city. My guide book mentioned a Sound Of Music tour and since I didn’t know any of the filming locations off the top of my head, I bought a ticket and jumped on the bus (literally – it’s a bus tour). Interestingly, the tour didn’t take in any of the places within the historic core of Salzburg. But they were pointed out to us as we drove out of town. Here are some of them. The real Maria spent time here before she was sent to look after the Von Trapp children and the film makes use of the real abbey for several scenes. It is located on Nonnberggasse 2 and is on the same hill as Festung Hohensalzburg, the large medieval fortress that dominates the town. I didn't get the chance to visit, but the tour guide mentioned that the rope for the bell was still in place - though it had been disconnected from the bell long ago because the nuns got tired of Sound Of Music fans constantly ringing it. This is the very bridge that, in the film, Maria and the children cross on their way to their picnic singing “Do-Re-Mi.” It is a footbridge that crosses the River Salzach from Rudolfskai on the south shore to Imbergstrasse on the north. 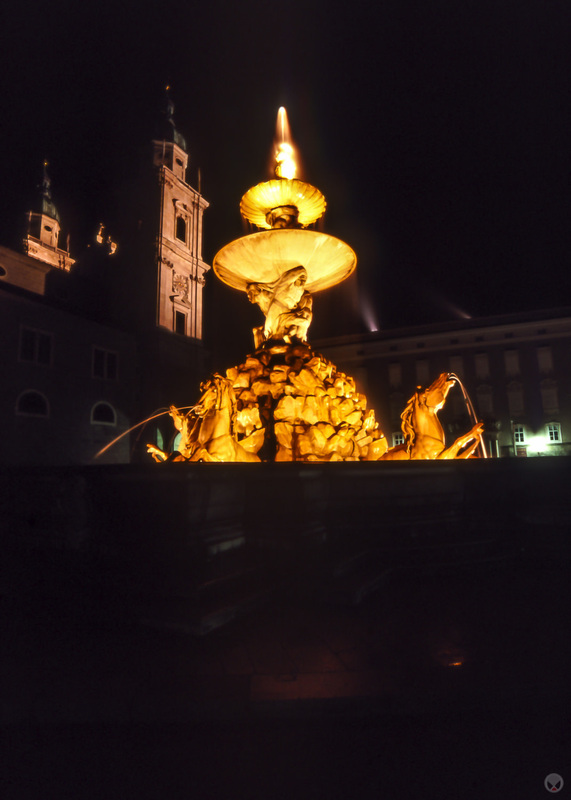 This is the main square in town and is directly in front of Salzburg Cathedral. In the film Maria walks through the square singing “I Have Confidence” and a Nazi flag is shown draped over the Archbishop’s Residence – which defines that west side of the square. Th fountain can be found within the Residence Square. Maria stops here during the “I Have Confidence Sequence” to splash her face with water. 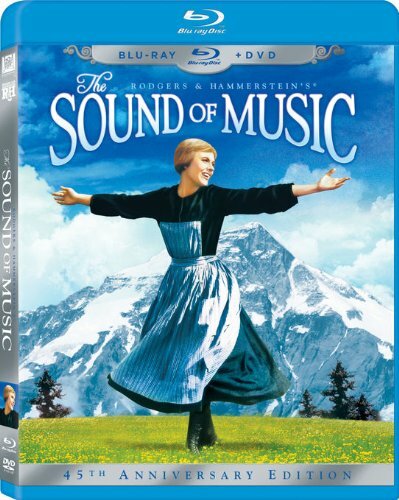 This is was used for the climax of the film which had Christopher Plummer’s Captain von Trapp singing Edelweiss on the stage followed by the von Trapp Family rendition of “So Long Farewell” before escaping into the night. A scene brilliantly parodied by Seth MacFarlane at the 2013 Oscar ceremony - which will have to substitute for any photos as I was unable to visit this particular location. This ornate horse trough can be found at Karajan Square, just off Hofstallgasse. 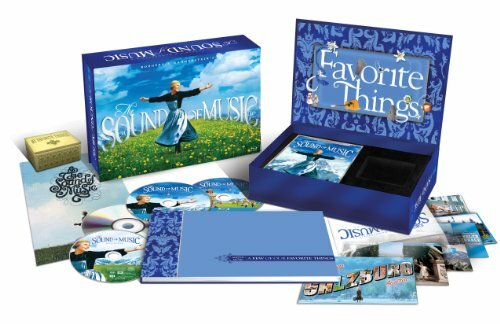 In the film, it can be seen as part of the “My Favorite Things” sequence. A cut scene also takes place here in which Liesl introduces Rolf to Maria. The “Do-Re-Mi” sequence begins on Winkler Terrace, at the top of the cliffs. The Mönchsberg elevator in Anton Neumayrplatz, at the end of the Gstattengasse shopping street can take you up or down. I didn't get up the to Winkler Terrace, but you can see the Mönchsberg elevator in the background of the second photo in the Horse Pond gallery above. Located on the north side of the River Salzach on Schwarzstrasse. If you are on the south side of the river, the Makartsteg (Museumssteg) footbridge offers the most direct connection. A significant portion of the “Do-Re-Mi” sequence takes place within the gardens – including the shot of Maria and the children jumping up and down the steps illustrating the musical scale depicted in the song. Mirabell Palace & Gardens with Festung Hohensalzburg in the distance. In my next post, I’ll touch on some of the locations I visited outside of city core.